Dollhouse’s elevator pitch isn’t exactly an easy sell. The sci-fi show revolved around a young woman (Eliza Dushku), a human “doll” nicknamed Echo who had volunteered to work at a top-secret and high-end facility where her memories were wiped and she could be implanted with a wide range of programmable identities and skills, to be transformed into whatever was required of her by high-paying clients. (Think the kung-fu abilities implanted into Keanu in The Matrix, only without the blank slate personality still there afterwards.) In between paying gigs (which the series worked overtime to make anything but “straightforward prostitution”), the dolls returned to a state of blankness, meaning each week the series let Dushku step into the role of everything from superspy to hacker to housewife, with the ability to hit reset at episode’s end. Unfortunately, this also meant there was no main character to root for, at least until the show let Echo begin developing a secret personality that stayed with her at all times. The premise was meant to allow series creator Joss Whedon and company to explore the endlessly fascinating question of desire—what it means, how it works, what people want from one another—but it ended up conceptually unclear in execution. As The A.V. Club put it several years ago, “The question that still divides Whedon devotees is whether Dollhouse was a great idea that never got the chance to be more than fleetingly fantastic, or whether it was a silly idea that Whedon’s team elevated, but so negligibly that they effectively wasted two potentially productive years.” But within those tempestuous two seasons stand two hours of television that represent one of the most artistically ambitious and conceptually brilliant stand-alone projects of Whedon’s career: In its twin season finales, the series crafted a near-future dystopian epic that delivered a brilliant advancement of the show’s vision, while giving it the kind of scale and scope the regular series could never quite attain. What makes “Epitaph One” and “Epitaph Two: Return” soar is the way in which the episodes effectively function as a 90-minute science-fiction film, in which knowledge of the series immeasurably deepens and enriches the experience, but which stands on its own as a smart and surprisingly complex meditation on the themes and philosophical questions undergirding the show’s premise. Also, there’s a ton of well-staged badass action and firefights, so it’s a win-win. (It’s even more impressive when you consider the show’s budget had been reduced to roughly “keeping the lights on” levels, thanks to poor ratings.) The series flashes forward 10 years from its setting to 2019, where we meet a small band of survivors making their way through a post-apocalyptic Los Angeles. The “doll” programming has been weaponized and gone wireless, meaning the vast majority of humanity has now been “wiped” and reprogrammed as drones of the corporate powers-that-be, reducing the people still bearing their original identities (known as “actuals”) to minute pockets. Our survivors (none of them regular cast members) stumble upon the underground remains of the dollhouse, where they use the remaining memories stored there to piece together the story of humanity’s downfall. The second half, set several weeks after the events of the first, tells the story of a resistance that stumbles into a means of potentially reversing the effects of the mass global memory wipe. While part two is hampered by a rushed arc—the writers knew the jig was up and wanted to send the series off with a satisfying conclusion—the story prior to the climax remains one of the most intricate and skillful explorations of a serious sci-fi premise ever depicted on TV. It takes the basic concept of the whole series and extends it to its logical conclusion, in nearly every possible permutation. The whole thing is a massive “What if?” thought experiment, doing justice to the intellectual questions raised by the creation of technology that is almost surely possible in our lifetime. And even if it remains a sci-fi bugbear, akin to a teleportation device or time travel, the questions it raises about identity and desire remain as fecund as ever. Would we really want the ability to download any skills we desired into our brains? How would that alter us as people? Is technology fundamentally alienating, the more it consumes our lives, or does it give us access to new means of relating to one another? What’s the true risk of centralizing more and more control over society in the hands of a technocratic Silicon Valley elite, unanswerable to the populations over which they hold sway? (We’re already seeing the effects of that one.) 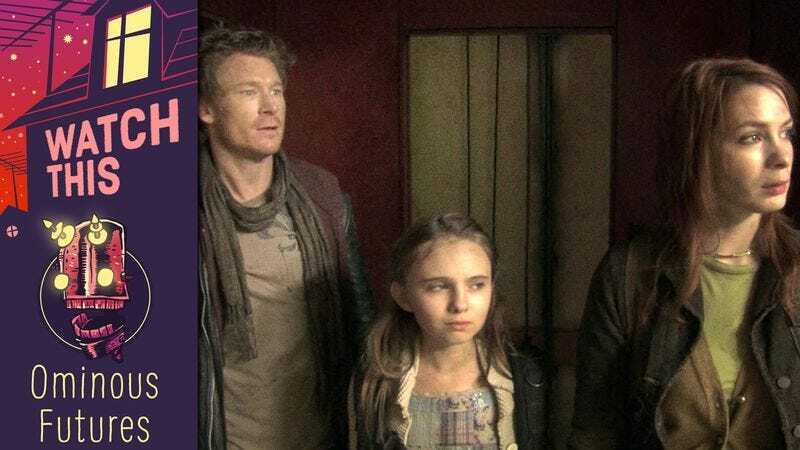 Dollhouse’s most impressive achievements are to be found in these two episodes, stuck out of time even in their own narratives, where Joss Whedon’s experimental vision can be appreciated for the greatness it contained. And we can now answer our own question: This was a great idea.